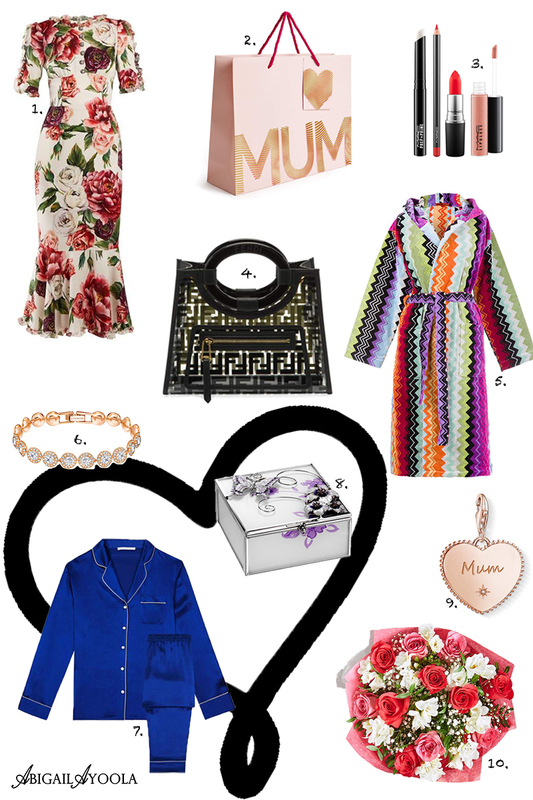 Just like your style, mother’s day gifts should be personal, so a guide always comes in handy when you’re deliberating what to get to make her smile. Aside from lovely experiences like a spa day, a roof top dinner or a warm hug, a well thought out physical gift can be just as meaningful. Gifts don’t always have to be expensive or commercially common. They can be things you know your mother needs like a warm robe, loves like a bouquet of flowers or enjoys like a handbag, jewellery or makeup. The gift can also be personal like a particular charm or an engraved accessory. This Mother’s Day gift guide only serves as a pointer, to help you if you’re stuck on style direction. Picking fashion items as a gift would require you to understand their personal style. Knowing whether she’d prefer a spring skirt or spring dress can make all the difference. Also knowing whether to spend time finding the perfect spring jacket or perfect PJ’s will also make a difference. So be sure to take the time to pick a suited gift for your mother (or wife). After all, to truly celebrate the day is to truly celebrate the woman and there’s no real guide for that. Happy Mother’s Day.